Prevention policies are not enough to protect children from bullying. Bullying prevention policies are important, but they protect people only when those in charge act in ways that uphold them. Note: The following article includes content from Bullying: What Adults Need to Know and Do to Keep Kids Safe, which is used by many families, schools, and youth organizations for their own anti-bullying programs. Prevention policies are not enough to protect children from bullying. Policies are important, but school policies – just like rules and laws of all kinds – protect people only when those in charge act in ways that uphold them. Adult discussions are a crucial part of addressing the problem of bullying, and we at Kidpower appreciate the commitment of everyone participating in them. However, as caring adults, we all run the risk of becoming complacent as we meet, talk, and plan to address bullying. Too easily, we can tell ourselves that, because we are meeting, talking, and planning, and because we are doing all of this with deep commitment and caring, we are doing all that we can do. We run the risk of fooling ourselves into believing that this is enough. It is not enough. Our meetings, policies, and good intentions alone do not have the power to protect our children from bullying and the damage it causes. For many parents and school staff, taking action to uphold bullying prevention policies can be uncomfortable, inconvenient, embarrassing, and difficult. Adults often say they feel helpless, inadequate, or unprepared to help. Being honest about this without letting it stop us from taking appropriate, decisive action demands courage our children need us to find and to show. When adults truly believe children are in immediate danger, they will act in ways that risk far more than embarrassment, inconvenience, or offense. We will risk our lives to get our children out of a burning building; discomfort will not stop us. We will jump into a river to rescue our drowning children; embarrassment will not keep us standing on the side. The time has come for adults to behave as though bullying were burning our children. Too often, we adults respond to the problem of bullying as if we were seeing smoke. Meanwhile, our children are feeling the burn of social fire every day, fire that has the potential to leave lasting scars. Include young people as part of the solution without burdening them with inappropriate expectations. Ensuring a safe environment is, ultimately, an adult responsibility. 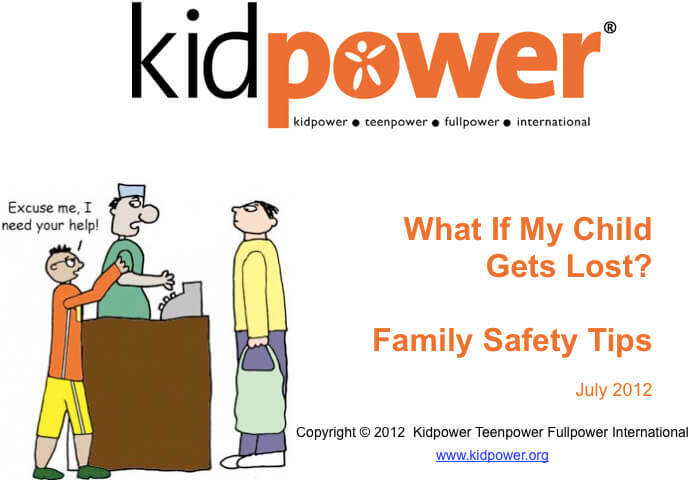 Parents, teachers, and administrators contact Kidpower daily with this concern. They represent diverse communities large and small, rural to urban, from the full economic spectrum. Bullying behavior has been part of the childhood experience for ages. However, the increasing numbers of suicides, school shootings, and other kinds of violence and self-injurious behavior linked to bullying must now serve as a urgent alarm bell ringing out to us all: something has changed. We may not understand exactly what has changed. We may not understand why things have changed. But, still, something has changed, and our children are getting hurt and dying in ways that should stop us all in our tracks, now. We have every reason to expect bullying and the damage it causes to continue and to escalate if we, as caring adults, fail to act swiftly and decisively, starting now. We step in when children run into busy streets. We stop their dangerous behavior with fire and knives. We supervise them in and around water. In these situations, we never turn away and say, “Let them figure it out for themselves. They’ll learn.” We never expect that written policies alone will have the power to protect our children from the risks posed by fire, water, and cars. Yet, repeatedly, adults hear about or witness young people using their power to hurt other young people and turn away. This is not unlike turning away when we see them in danger around fire, water, or cars. No matter what our written policies declare, people are unsafe when actions and events are unsafe. Caring adults stay close in potentially risky situations, gradually giving space only when we believe our children have the knowledge, skill, and development to keep themselves safe. No matter how much our children may tell us they want us to go away, to leave them alone with their peers, their actions and the results continue to say that they need adult help in order to learn to be safe with each other as they grow. Even many high-school age teens are not ready to manage their social power responsibly on their own without adult support, and every day brings more evidence of young people’s need for closer guidance. Many of us, as caring adults in communities everywhere, have stepped back too far too soon, and the time for correction of our own behavior has arrived. Every caring adult has the responsibility to taking leadership through action in addressing the problem of bullying. None of us can afford the loss that grows from our turning away any longer than we already have. Common targets for blame about bullying are educators who don’t care, money, and “bad” kids. These are the wrong targets. Wrong Target #1: “Educators who don’t care.” The bullying problem does not grow from lack of commitment or caring. 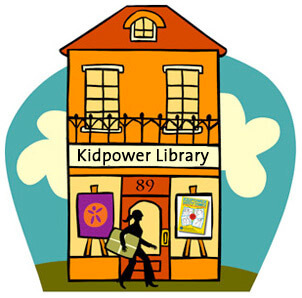 In Kidpower’s 21+ years serving thousands of schools and other agencies worldwide, we see firsthand that the vast majority of parents, teachers, and administrators everywhere want kids to be safe, healthy, happy, and well educated. Still, bullying is a reality in their schools. Most teachers and principals, just like most parents, are deeply committed to the well-being of children. However, without skills to translate bullying prevention policies into concrete action – and without the time and support necessary to learn and apply those skills as well as to help children learn and apply them – bullying will often continue despite this deep commitment to safety. Wrong Target #2: “Money.” Lack of money certainly causes stress and problems. 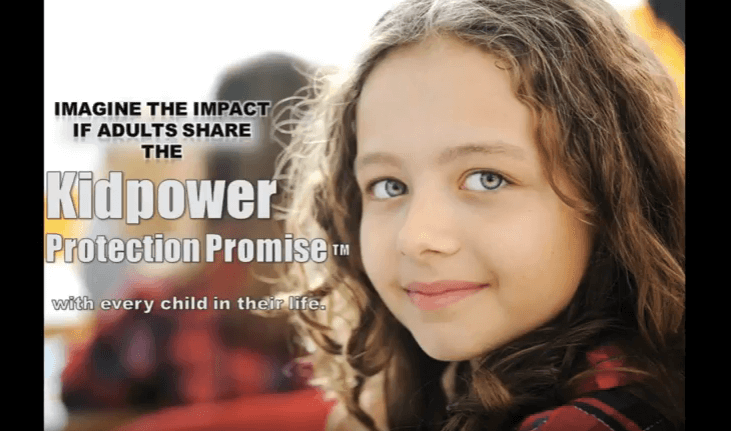 However, as Kidpower instructors, we do not yet see evidence of a relationship between apparent affluence of a community and the amount of bullying kids experience. We have seen cultures of caring, respectful behavior between children in impoverished communities and schools. We have seen rampant relational aggression in wealthy communities and schools. We have not noticed either public or independent schools having a predictably higher or lower rate of bullying. We have indeed observed what seems to be a difference in the most common types of bullying in different communities. However, bullying is bullying, whether it causes people to bleed, to cry, to suffer in silence, or to commit suicide. Bullying is hurtful and damaging in any and all of its forms, everywhere. Wrong Target #3: “Bad kids.” All kids are born with a significant amount of power and no experience controlling it. If a toddler has kicked you or screamed in your ear, you’ve experienced this power and the pain it can cause. Experimenting is part of the learning process. Children will experiment with hammers, marking pens, scissors, and other tools as they become familiar with how they work and what they can do. Experimenting helps kids build their skills to use these tools well. Responsible adults stay back far enough to allow children to learn through experimentation but also stay close enough to step in to prevent injury or damage. 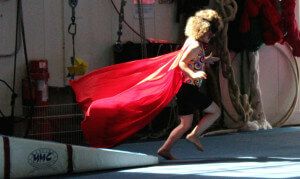 Young people experiment in a similar way with the power they have inside, such as the power to move, think, and talk. Even very young children have figured out that eye contact, speech, silence, flailing, and inaction can be used as tools to affect how other people – adults and kids – feel and act. Unlike scissors and hammers, this inborn power cannot be taken away from children. It’s theirs. If adults fail to provide compassionate, clear guidance in using it responsibly, children will figure out their own preferred ways of using it. We can expect this to cause damage, not because children are ‘bad’ but because they do not have the knowledge, skill, and maturity to use their power responsibly without adult guidance. Inappropriate behavior must be stopped, and excuses are unacceptable. However, when adults identify a child as ‘bad’, they put false limits on the child and also on themselves as leaders. 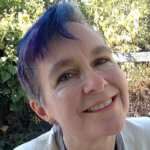 If a person is inherently ‘bad’, then no solution – other than isolation – exists. The adults stop asking how to help the child learn different ways, and the children can lose their own belief in their ability to do differently. 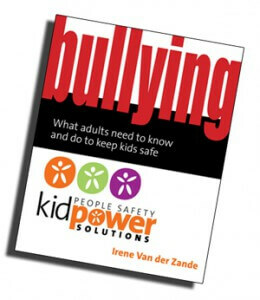 However, if adults recognize bullying behavior as a dangerous misuse of personal power, they can identify a broad range of practical solutions for keeping everyone safe – and for supporting the bullying child in developing skills to control his or her power. Children allowed to use their power inappropriately are not getting the support they deserve to behave in ways that are safe for others as well as for themselves. Over time, this lack of responsive guidance can be expected to result in habitual behavior that is dangerous, damaging, destructive, and increasingly difficult to change. At Kidpower, we do not focus time or energy studying how long this lack of intervetion can go on before “it’s too late” and a person loses the ability to manage personal power safely. We are saddened to hear adults in school communities talk about specific kids as though they are a lost cause – and we hear this kind of talk not just about high schoolers but about middle and elementary school children. We have even, at times, been alarmed to hear this kind of talk among adults about preschoolers as well. We see no ethical justification for giving up on kids in a school situation by removing the expectation that they reach – and be supported in reaching – their maximum potential, socially as well as academically, every day, at every age. 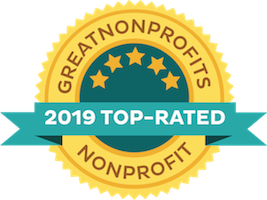 They each deserve our support, and the safety of every child in a school community rests upon our commitment to support the safe behavior of every single one of them. We will stop them from hurting others if they cannot yet stop themselves, and we will help them and expect them to learn and apply skills to use their social power safely. Below are a few common reasons adults give for their inability to direct any more time and attention toward the bullying problem. We hear many others. As we must stop children who are bullying from using excuses to get off the hook of personal responsibility, we must each take a close look at ourselves and at what stops us from taking additional action. “Kids are cruel and mean to each other. That’s just how kids are.” Yes, when left unsupervised with too much power, this is how they are. They aren’t safe with kitchen knives or matches on their own, either. It is precisely because their natural inclinations are likely to be dangerous that we need to stay close and responsive. “Kids have to learn to deal with difficult people.” No other social construct is similar to a school. Adults are paid for their work, they can get fired from jobs, and they can choose to quit. The consequences may be high, and these choices can be hugely difficult. However, children do not have a choice. School is compulsory, and schooling decisions are adult decisions. Children cannot demand to change schools. They cannot demand to stay home.They cannot choose to take the burden of significant consequences in order to leave a situation where they have experienced daily threats. They are confined for many hours in relatively small spaces on a daily basis with large numbers of people with very little life experience and a comparatively small number of adult leaders. This specific structure and situation is replicated in few, if any, aspects of adult life. Yes, kids have to learn to deal with difficult people, but that truth cannot be a justification for allowing them to endure daily aggression in a social context that is not replicated anywhere else. The existence of difficult people in the world does not excuse us, as adults, from upholding our responsibility to keep children physically and emotionally safe as they learn all the skills they need to deal with all kinds of challenges, including difficult people, on their own as independent adults. “There isn’t enough time in the school day. We have too much to do. We have testing.” When children are bleeding or vomiting, we have concrete proof that their suffering is preventing them from learning and performing. Bullying causes suffering adults can disregard or fail to see. Nonetheless, it damages the learning environment and can erode academic performance. A coach would not ask athletes to give their best running in thick clouds of smoke, yet we continue to ask for academic excellence while allowing emotional pollution to intensify. Bullying is tainting every learning moment of many students. Managing it may arguably be an excellent step toward more effective learning and academic performance. “I already do too much. I can’t do any more.” Perhaps this is true. Identify all the things demanding your attention. How many of them are more important than the physical and emotional safety of your child or your students? Can any of these other obligations be moved lower on the priority list to ensure kids are safe? “I’m afraid I will make it worse.” This might be true. Would you make it worse because you don’t have the skills to do it well? Then ask for help and work on learning those skills. Would you make it worse because you don’t have support from your administrators and colleagues? Then tackle that problem. The safety of others depends on your willingness to go forward in the face of discomfort, lack of confidence, or confusion. It’s not easy, but it’s important.